I’m pretty certain that the fact that my parents didn’t “get” horror films (or any fantasy[weird] films of any kind) allowed me to view inappropriate films at inappropriate ages. And I’m pretty certain that caused some kind of mental scarring [trauma], and led to certain fears that I wouldn’t have had otherwise [parent-blaming]. They let us watch The Exorcist as though it was an episode of The Brady Bunch. An episode of The Brady Bunch that forever ruined waking up in the middle of the night or hearing a bed spring make a random noise or hearing a tiny click or tap in the attic. They took us to see Close Encounters of the Third Kind when we were in early grade school. I’ve mentioned it before on the blog, but I still consider that film a horror film. Kidnapped humans stolen from their earthly homes for decades (if not hundreds of years) and then returned with a smile and some sign language, as if that made their crimes ok. Watching it recently, I swear there was a woman in Victorian garb walking amongst the ruined humans coming down that glowing ramp of death. It was such a serious and intensely human way of presenting the topic of UFOs, and the film felt so real. An incredible film. A brilliant film. But not for a kid in early grade school. I remember seeing The UFO Incident one afternoon during summer vacation. Still in grade school, and still too young to see a realistic portrayal of adults in situations where they were basically helpless violated victims. And I’m thinking that’s the key to why these movies were creating mental scar tissue. I was a kid watching adults become powerless frail things…realistically. The UFO Incident had some top-notch acting. 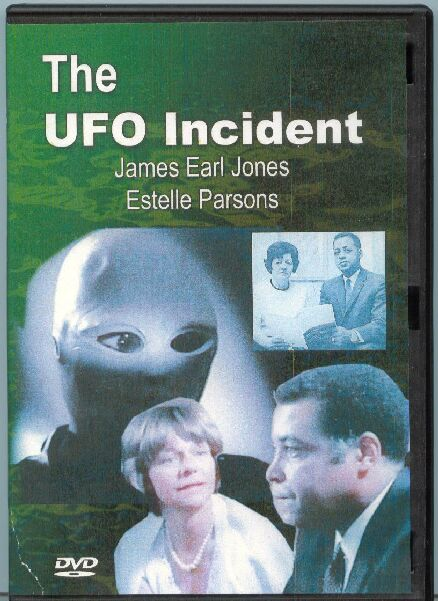 James Earl Jones WEEPING during hypnosis recalling his character’s alien assault. Perfectly suitable for a kid in early grade school. The sneakers were upstairs. In our closet. In our bedroom. We refused to go up there. Aliens, you see. My mother became furious. I probably should have poured gasoline over my head and lit a match like that robot assassin in Halloween III, but I think I just sat there shaking my head like Jerry Seinfeld refusing to eat that piece of pizza. So, before you click the link below and click to the 49:00 mark, try to imagine yourself in early grade school…sitting down in front of the television and seeing this for the first time (you only have to watch a minute or two to get the idea).